Professional Surveyors Canada, and its members, are working to bring the survey and mapping of underground infrastructure in Canada into a new era of proactive management. This will ultimately benefit the public, developers, utility companies, and emergency responders, as well as government regulatory agencies. Underground infrastructure includes pipelines, water lines, gas lines, telecommunications lines, and sewers. It is essential to the health, safety, and economic well-being of Canadians, and the effective functioning of their government. Currently, the systems in place for dealing with underground infrastructure are a patchwork of regulatory and voluntary regimes. Federal and provincial legislation has sought to improve the system in Canada; however, there is still a long way to go. Installation issues: Underground infrastructure in Canada is often not surveyed or mapped accurately, if at all, and is deficient in scope when compared to the rest of the developed world. Utilities are not legislated to be installed at a minimum depth, leading to new utilities often installed only a few inches below the surface. Locates: Locates are done by utility companies or private contractors to find what is buried underground. These locates are not standardized, leading to inaccurate measurements and data records. 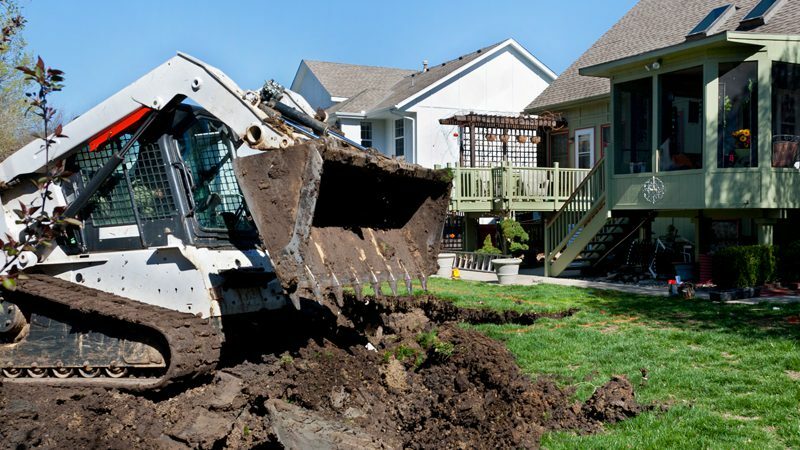 Locate refusal: Owners of buried facilities can refuse to perform locates. This makes planning for safe development more difficult and expensive. Limitations to One Call: One Call systems are a contact line for locating underground infrastructure. Some jurisdictions have passive One Call systems, which are merely a central phone hub. Other jurisdictions have no data or One Call system at all. With the exception of Ontario, utility owners are not legislated to belong to a provincial One Call system. Lack of investment potential: The lack of a coherent system makes funding from multiple levels of government and utility companies difficult to correlate and plan. Crowded underground: Urban environments have crowded undergrounds with aging infrastructure. Buffer distances and more accurate installation and mapping is needed to effectively plan and prevent incidents. Professional Surveyors Canada is actively working with government and private sector stakeholders to solve these issues by changing the standard industry practice and creating a new, repeatable, and responsible system. There are several areas where regulatory agencies and governments can lead in this change. All new underground infrastructure should be surveyed by licensed professional surveyors at the time of installation. This will allow for standardization of data formats and integration into common map formats. Professional Surveyors Canada will lead the data capture standards and collaborate with the Canadian Standards Association to achieve this goal. Legislation is an opportunity to provide guidance. All underground infrastructure installed on private land should be required to be supported by registered easement plans. This type of regulation exists in some provinces, but it should be a national standard. Legislation for basic safety and environmental hazard prevention needs to be strengthened. General legislation regarding all underground infrastructure would assist in guiding interested parties that operate underground infrastructure to work collaboratively. Legislation for basic property rights guidelines needs to reflect our common history and property rights, and interest registration, in titling systems. Legislation that creates a level playing field for all utilities and strengthens notification systems. Legislation or regulation that creates the environment for a reliable, repeatable, and relatable data system to improve notification systems and reduce liability. Sharing basic information on the type, location, and depth of an underground infrastructure in a standardized format through an organized system will reduce health risks, prevent environmental damage, and limit liability. With supporting legislation in place all Canadians and Canadian companies and municipalities would benefit, as shared data becomes more robust, with minimal cost. Professional Surveyors Canada is working toward a reliable system for all to use and is looking to the government and other agencies for support in reaching this goal.